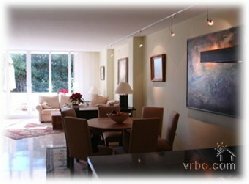 VILLAS AND APARTMENTS TO RENT IN LA HERRADURA, SPAIN. Welcome to our selection of holiday homes to rent in La Herradura, Spain. La Herradura is a beautiful village overlooking a horseshoe-shaped bay on the Costa Tropical. The bay of La Herradura is well-known for its sheltered beach, clear waters and watersports' facilities. La Herradura is a typical whitewashed village of which Andalucia is well-known and set against gentle slopes. La Herradura is close to the town of Almunecar. Together La Herradura and Almunecar offer 25 beaches and a range of shops, bars and restaurants to choose from. Temperatures in summer can reach 34�C and in winter, never drop below 12�C. Looking for self catering holiday accommodation in La Herradura? 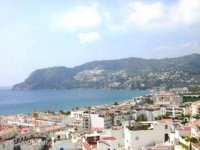 Then below is a selection of holiday apartments in La Herradura and holiday villas in La Herradura that can be rented direct from their owners. You can either click on each listing for further details or you can use our search engine on the left if you are looking for something in particular.